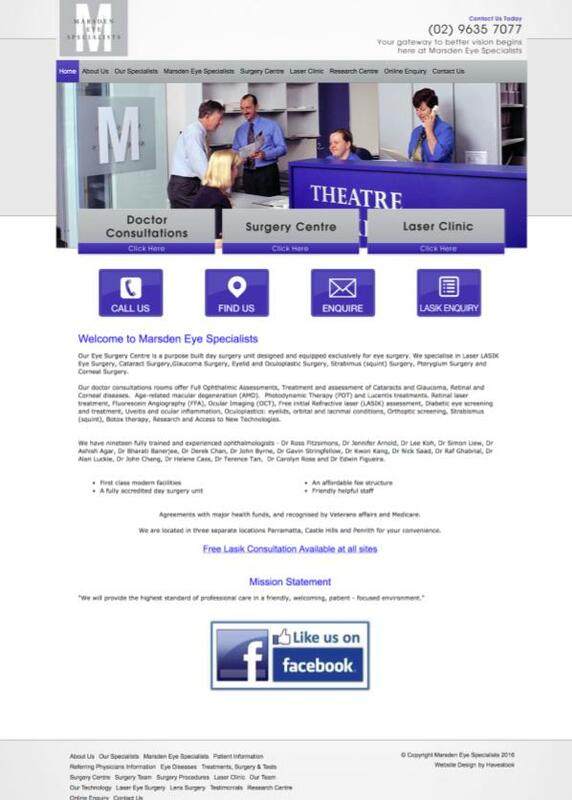 Marsden Eye Specialist have been providing the highest level of diagnostic, laser, and surgical treatment to Western and North Western Sydney for over 35 years. The practice's patients are typically older with age-related or degenerative eye disease. The purpose of the website redesign is to promote and be found for targeted keywords, and help convert visitors to patients. The healthcare website redesign needs to be contemporary, professional and visually engaging. The website redesign needs to stand out and help convert patients in a competitive area.